Play That Same Song Again! 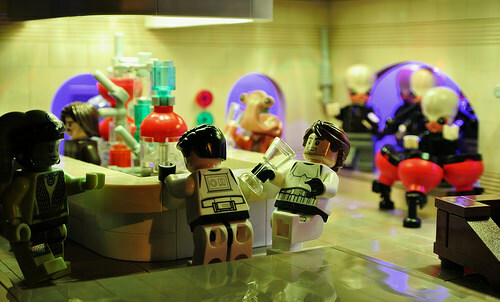 Ah, the Mos Eisley Cantina, that wretched hive of scum and villainy. At least they’ve got a catchy tune, though. Disco86 brings new quality to this familiar scene with his latest diorama, where he makes terrific use of lighting to give the scene an electric vibe.